An updated and expanded edition of Kim Wilkie's classic work, widely acclaimed as a major contribution to the literature on landscape, sustainability, regeneration and design. 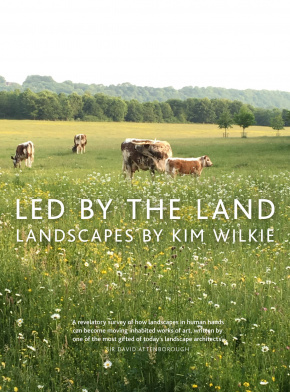 In addition to the many private and public landscape designs described in the first edition of Led by the Land, this revised edition includes new projects, among them Kim Wilkie's thought-provoking designs for the grounds of London's Natural History Museum, tracing 'the passage from deep time to the present [and] to the future . . . exploring where we go next and how we can continue to survive in the narrow bands of atmosphere and topsoil that make life possible in the thin biosphere of the planet'.